obert Dorum was born in Sarasota Springs, New York. In the high school there he sang in the chorus, played clarinet and timpani in the band, and viola in the orchestra. He earned degrees: a B.A. from Hartwick College and an M.A. from Siena College. Further training in music included studies in piano and music theory with Ms. Ruth Mallory in Saratoga, piano with Mr. Frank Butcher at Hoosac Prepartory School, and organ with Br. Randy Horton at Holy Cross Monastery in West Park NY. Mr. Dorum taught in the senior high schools of the Wappingers School District from 1962 until his retirement. He has performed numerous concerts as pianist and accompanist, including a fund-raiser in 2003 featuring sopranos Louise Simpson and Elizabeth Gillen, and tenor Charles Henderson. 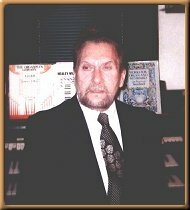 His compositions include much liturgical music written for parishes where he served as organist/choir director.